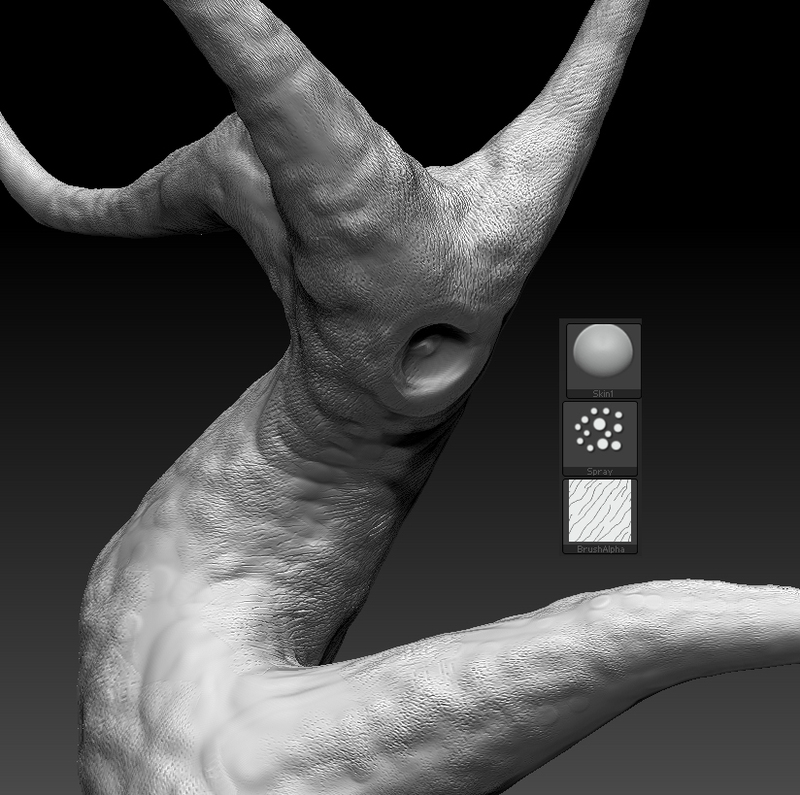 Hello, in that tutorial some Zbrush plugins are requires. The model is composed by 8600 polygons! 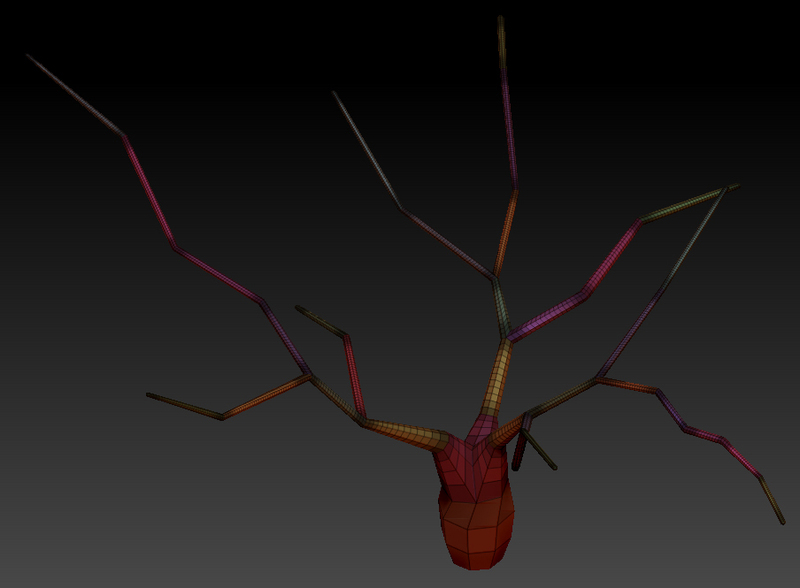 we will reducing the model before making the uvmap. 2. 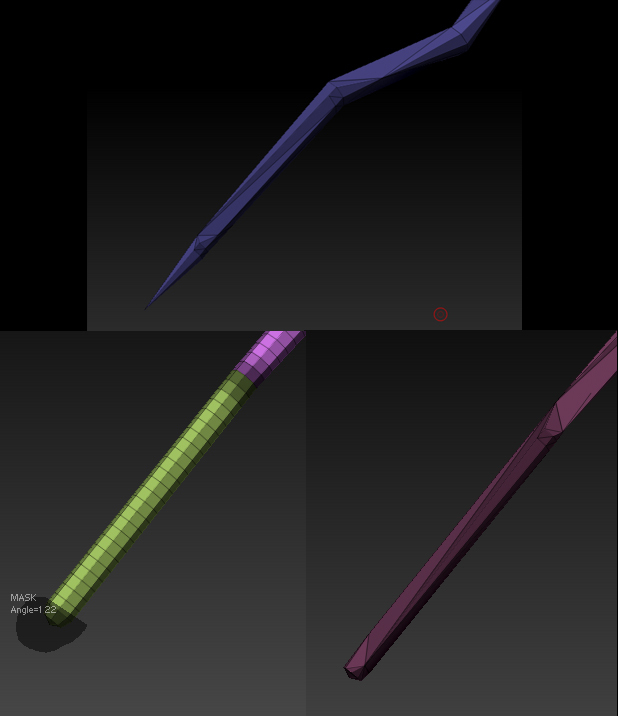 Click on Make Adaptive Skin with the density set to the level 1. 4. Save/Keep the Zsphere on the side for the rigging lately. Here we will need the Decimation plugin installed. But first, we will making the masking, this step is very important, this is the weak point of my work, i am sure that step can be improved to have a better control on the mesh density. I haven’t checked Freezed Border, but you can testing by yourself what option give you the result that you are happy with it . I only play with the % of decimation give a low value, big value give you a poor reduction. Click Pre-process or Pre-process all if you apply it on several subtools. Click Decimate Current or Decimate All if you apply it on several subtools. The shape looks good from there, but.. you must check every branches of the tree. 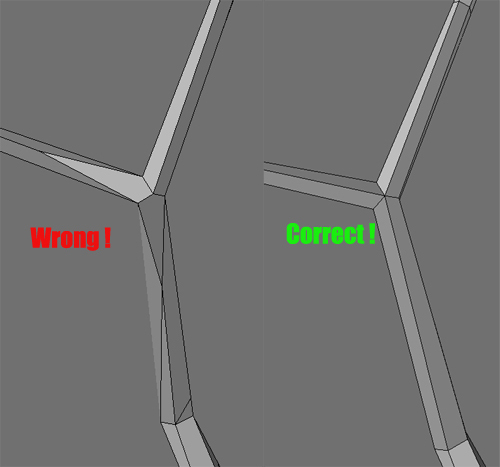 Several errors dues of the masking that can generate a bad geometry. 3. Undo the decimation and refine your mask following these tips. You must knows, that every time you change the masking, you Must absolutely, execute the Pre-Processing Current / All command. Use Lasso tool to create the mask. Protect the ends of each branch from the tree, just to prevent your branches to end with a spike shape, that’s very important. 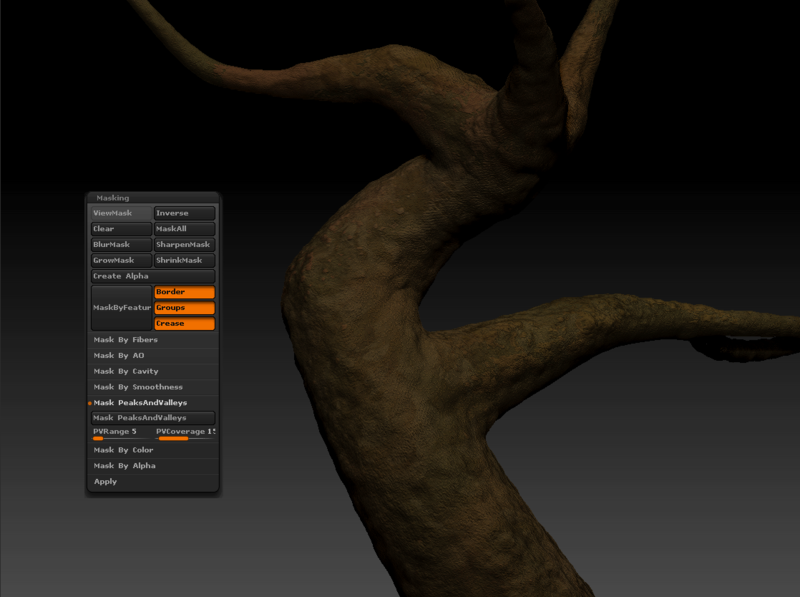 Improve the Base of the tree trunk. When you get happy with the result save the model to an Obj file, we are going to fix up the mesh into an external 3d modeling software. 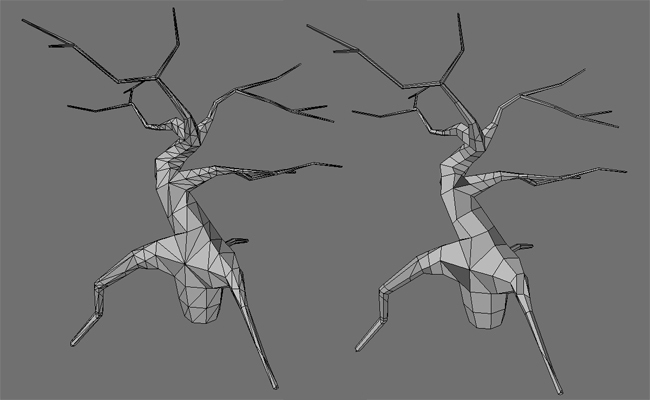 When you subdivide a model with too much triangles the subdivision, give a bad aspect on your model. To fix the problem i only find one good solution not too long to be done with. We will editing the model in a modeling sofware of your choice, here i used lightwave. 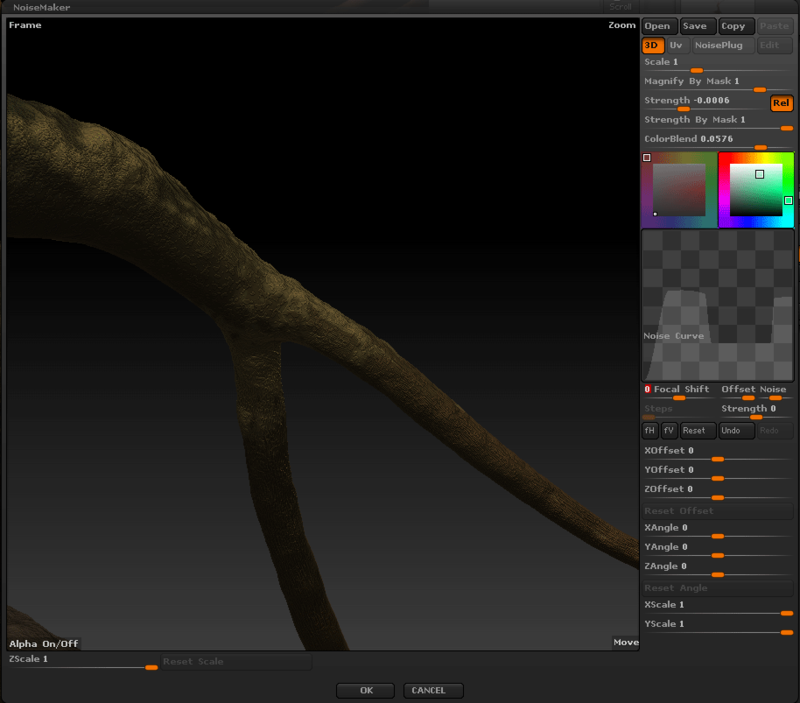 In Lightwave, I Used the drag tool, then “Delete polygons” and then “merge points”, to clean up a little bit the model. 4. 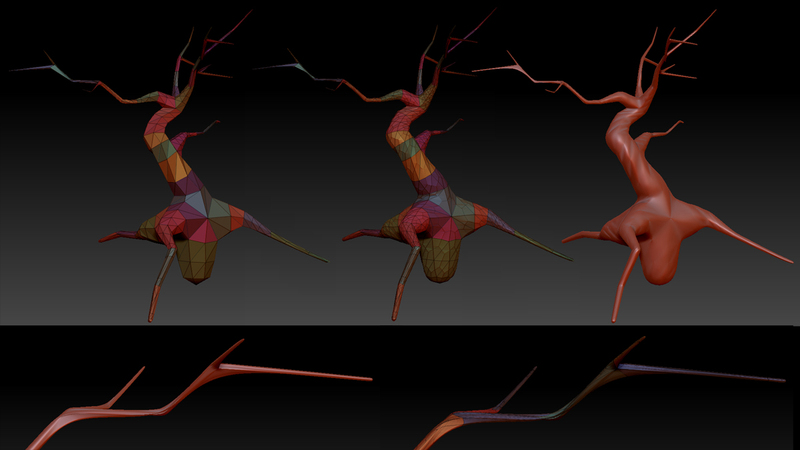 Improve the branches subdivision before we go back with the edited model in Zbrush. 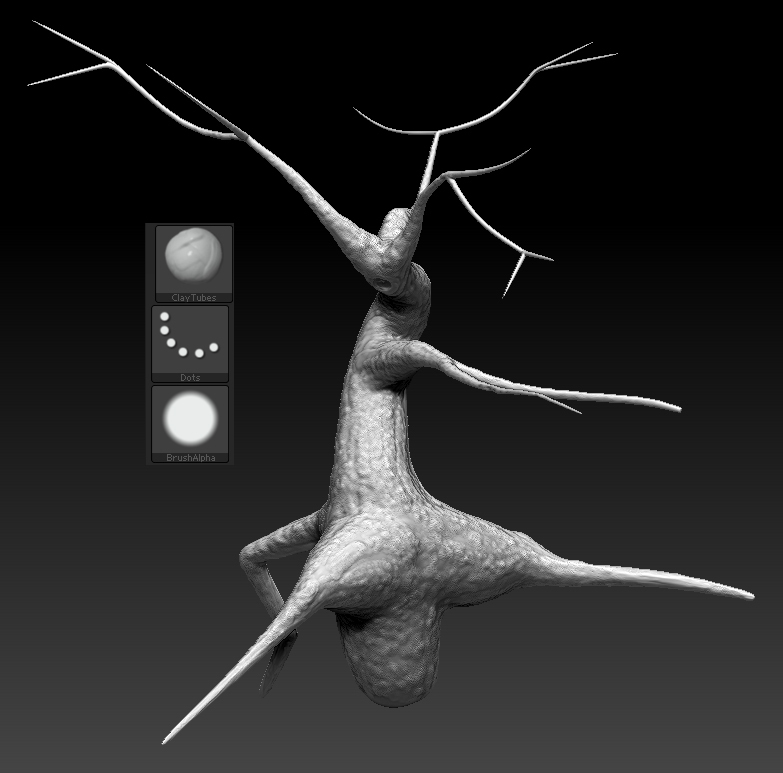 Now the model has been loaded in Zbrush, look at the result when I apply the a subdivision on the new model. 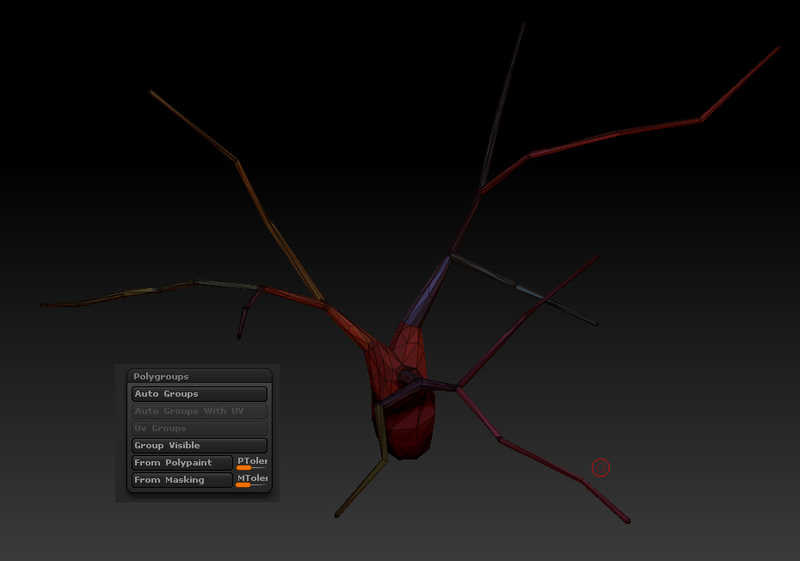 Now we have to create the polygroups to prepare the UV Unfolding with Uvmaster plugin. Use the Lasso, Rectangle, Hiding tool, with Polygroups > Group Visible command. 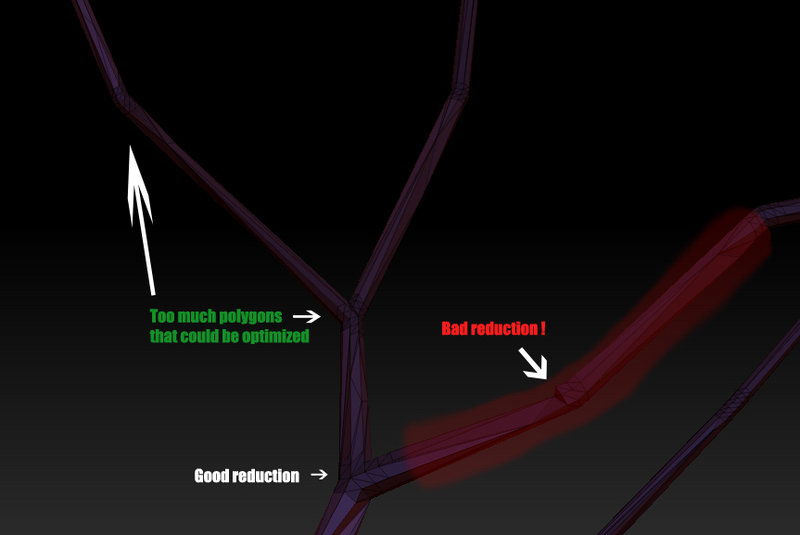 More detail in the Improve the polygroups tutorial. More details with the Uvmaster Tutorial. Now take place for the sculpting session ! 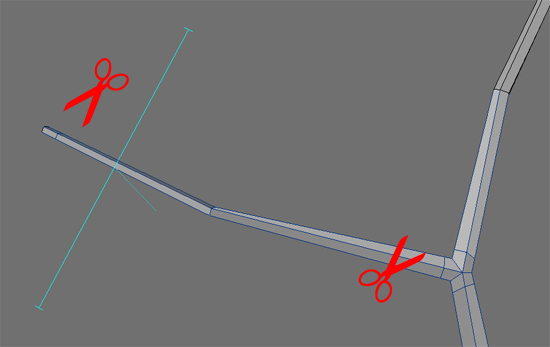 Note : I preserve the end of the branch, or use an appropriate brush draw size on it. 1. 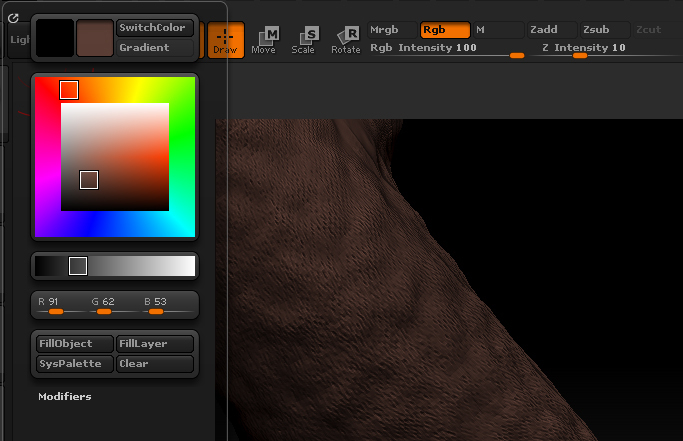 Now I activate the polypaint by clicking on Colorize. 3. Create a new layer, and rename it “base color”. 4. For the brush settings, we must to uncheck Zadd and Zsub, just enable the RGB only. 7. In masking panel create a mask by cavity, tweak it has you wik and then add some variations of color tones , it will give a deeper aspect for the smalls details. Let give a try with the noise maker. 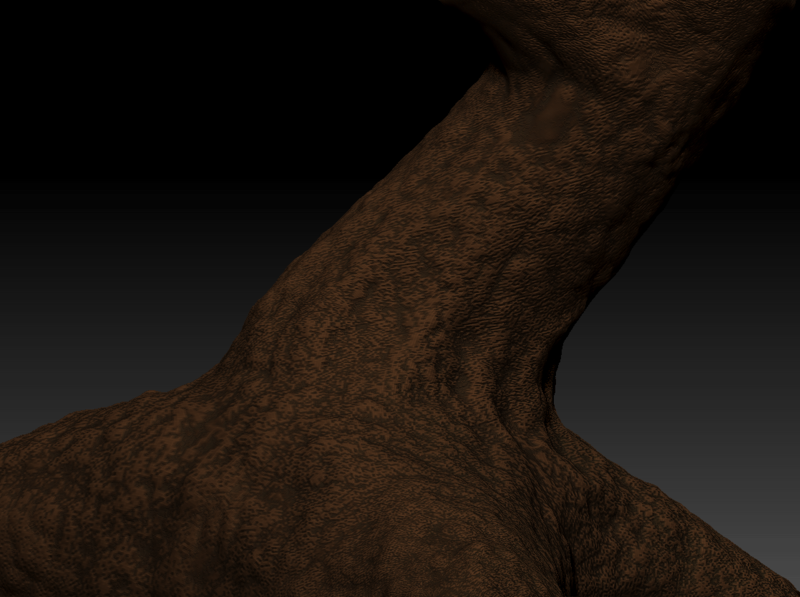 I play around with the parameters and it finally give me an acceptable aspect to make that tree bark aspect. I added one new layer , and mask tweak by peak and valleys, then I painted some color variations here and there, using the Spray tools, and finally reduced the layer opacity a little bit. 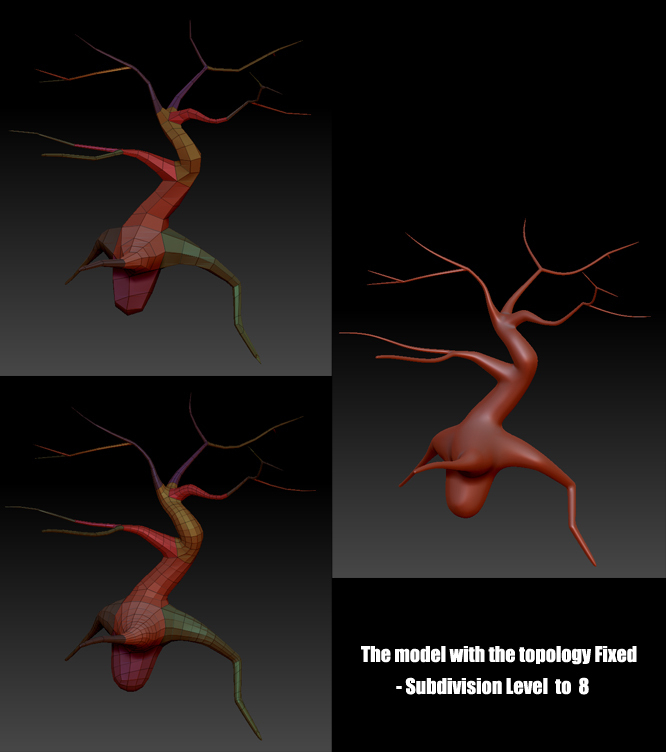 Yes the tutorial is old, the techniques are approximative, and the final texture look like nothing realistic, but it gives a complete workflow to create very personal trees. All step done in Lightwave, but all can be done with any 3d modeling tools, just to cite some, : Blender, Silo, Maya, 3dsmax or what ever you want. 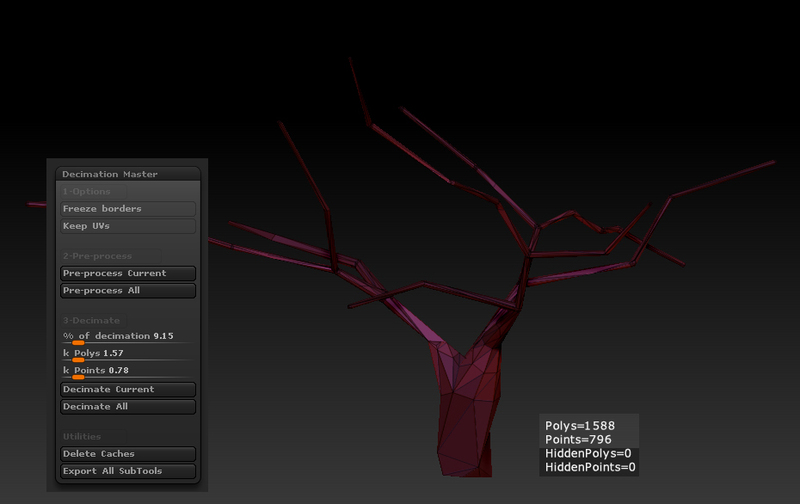 you would possibly want to edit the UVmap and change the layout, before to start to paint your tree. 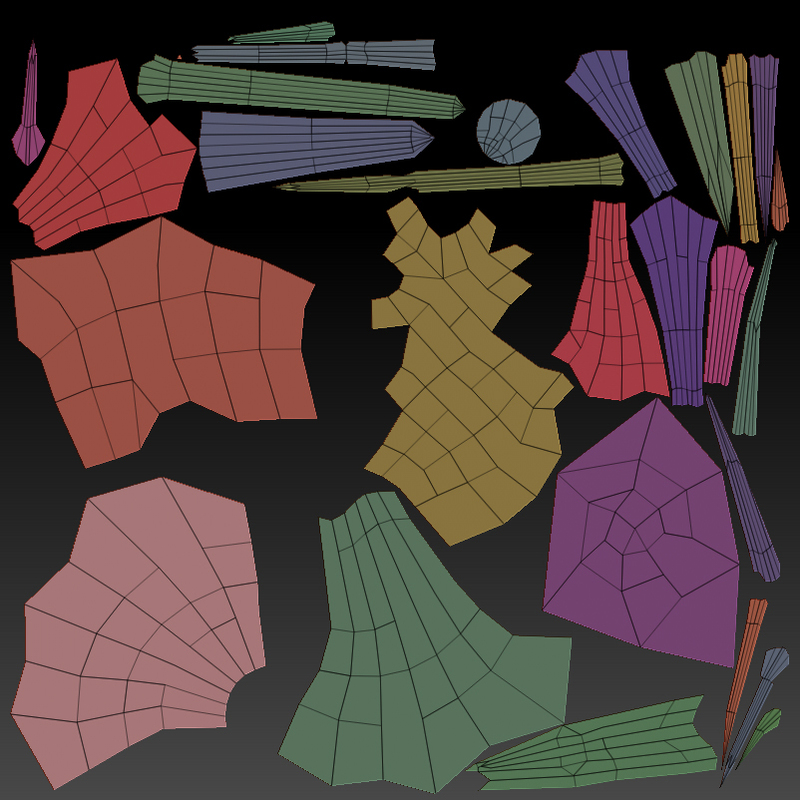 Another workflow to get the low polygonal model done and prevent to have to edit the model into an external 3d applications, should be the retopology tool that Zbrush offers, but i am now using 3d Coat for all my retopology works. 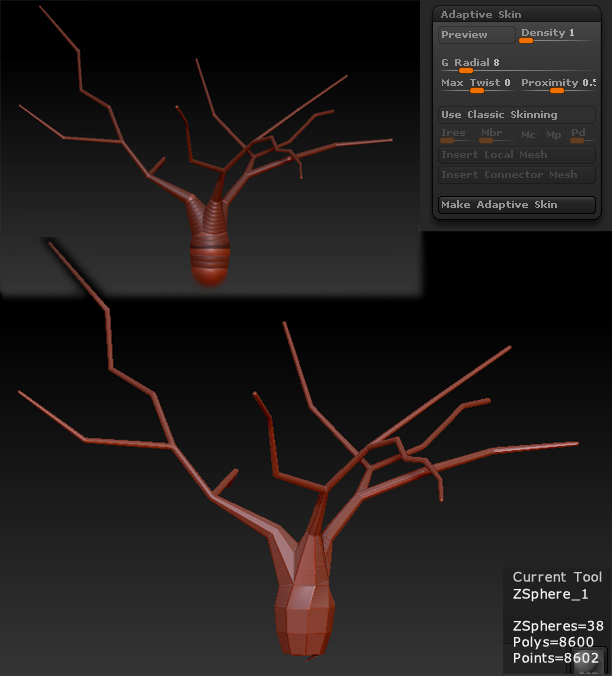 If you need to create several variations of the base of your tree, you can try to edit the topology using the Zsphere Rigging tutorial.